Preparations are underway for one of the most prestigious dental exhibitions in Central and Eastern Europe – CEDE 2018 (20-22 September). For the second time the exhibition of equipment, materials and instruments will be held concurrently with the Polish Union Dentistry Congress. CEDE 2018 will mark the 27th occasion when devotees of modern dentistry will come together for this marquee exhibition. For the needs of the exhibitors, the organisers have reserved four pavilions at the Poznan International Fair, which will provide approximately 7 000 m2 of net exhibition space. In 2017 a total of 220, firms including 41 from outside Poland, showcased their products at CEDE. Last year, many of the leading market players made an appearance in Poznań. Over the course of three days more than 11,000 people visited CEDE, including guests from, among other places, Ukraine, Germany, Russia, Great Britain and Lithuania, Austria, Italy, Norway, Sweden. CEDE 2018 will focus on the inseparable connection that exists between science and business, as is evident, among other things, in the programme of the Congress and the Speaker Corners agenda. CEDE 2018 will feature many lecturers whose names will already be familiar to those who frequent international congresses. Among speakers who have already confirmed participation are Jan B. Ahlqvist, Diego Lops, Miguel Roig, Carlos Fernandez Villares, Ezio Gheno, Angelo Troedhan, Gian Battista Greco, Hande Şar Sancaklı, Joseph Shapira, Hal Stewart. The Congress Scientific Committee is chaired by Professor Marzena Dominiak, the President of the Polish Dental Association and a member of the FDI Education Committee. The slogan adopted for this year’s CEDE is “More than an exhibition”. Over the years the organisers have managed to put together an exhibition that includes more and more elements with a real impact on the development of Polish dentistry and an increasingly integrated environment. 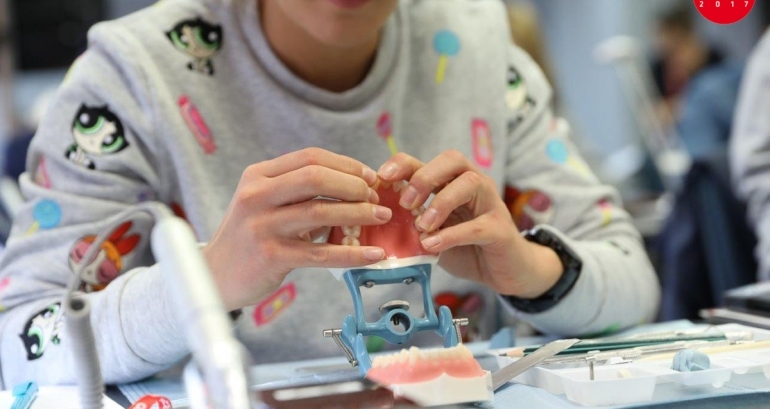 During this year exhibition free oral cancer screening tests will be offered to Poznań residents, workshops on how to deal with patients with disabilities for dental practitioners and even a pool championship for CEDE participants. For the second time this year dental professionals will also have the chance to vote via internet for their favourite products in the “Stars of CEDE” competition.